Many Drexel University students have struggled with finding housing. 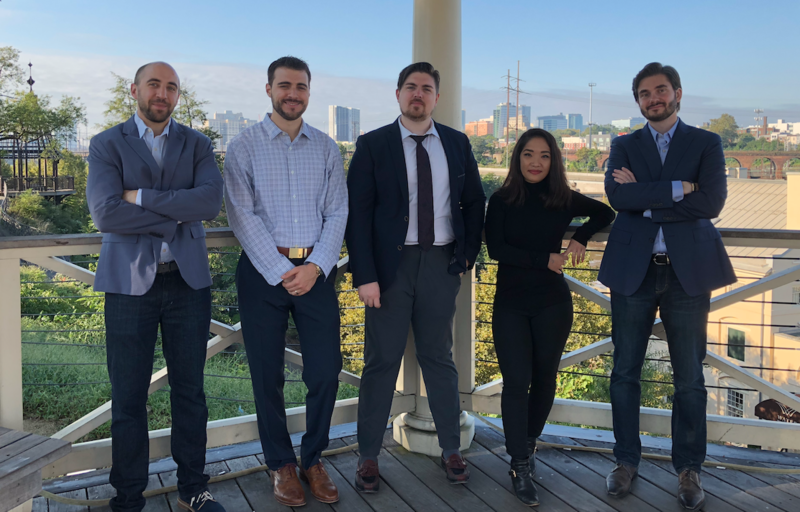 Doanh Nghiem, a Drexel graduate student in the College of Engineering, is behind the business development of Jove, a real estate app available on iOS which was created to simplify housing searches, especially for students in need of a place to live nearby. Jove displays listings from the MLS — a real estate listing service — and allows users to schedule either immediate or future home showings with agents in the area. When a user requests to see a property, local agents are notified and can quickly accept requests. Agents can reply to showing requests in less than 15 minutes. “It’s like Uber for real estate,” Steve D’Agostino, one of the founders of the app, said. The app was released on the Apple App Store in April. It was created by D’Agostino, Josh Evans, Jonathan Katz and Alex Garashchenko. Jove can be helpful to college students looking for housing because it will help them quickly find a place to live despite their busy schedules. “You already know what neighborhood you’re looking in, you already know what your price point is. The hardest part is finding the time and the landlord to get you in and show you the place,” Evans said. Many Drexel students had to rush to find somewhere to live around campus when their University Housing spaces were given away before the start of this fall quarter. Jove could make a last-minute search like this more efficient. “Cutting minutes out of the front end search and cutting hours and days out of the time to schedule is valuable because you’re competing with all the other students who are in the same boat,” he said. Nghiem recalled the frustration of her own search to buy a house. “Over time, until I found a good agent or broker, it was like I felt really alone. But if I had this at the time, I would’ve felt like I was more prepared to do it on my own,” she said. Nghiem is an employee at Jove who was brought on the team because of her business education. She earned an MBA from Drexel in 2017, and is now working towards a master’s degree in engineering technology. “We were drawn to Doanh in large part because of that Drexel education and how well the Drexel MBA bridges theory and practice,” Evans said. Evans specializes in sales, while D’Agostino is a broker and Nghiem advises the company’s business operations. A focus group was hosted recently by the startup to gather feedback from app users to aid in future improvements. “We’re very hyper focused on what customers are saying currently, what users are saying and thinking,” D’Agostino said. Jove currently has about 200 users and 40 working agents. “We’d like that to go up at least 10 times or so in the next five years,” D’Agostino said. The second version of the app is in development, and improvements on bugs and issues will happen every three months. It will be available on Android devices in early 2019. “We’d really like it to be step one for everyone in the Philadelphia area to start their home and apartment searches,” D’Agostino said.